We offer a selection of Low-Cost Office Pedestals available in several finishes. Two and three drawer options available. 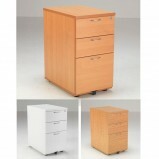 Contact Us for more information on our range of Cheap Office Pedestals. 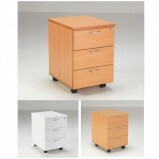 TC Lite 2 Drawer Mobile Pedestal A great storage solution at a great price. 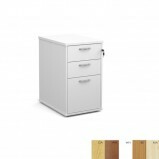 Do not compromise on quality Features Chrome Handles Locking Options Beech, White or Oak MFC ..
TC Lite 3 Drawer Mobile Pedestal A great storage solution at a great price. 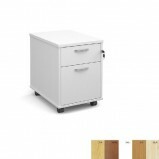 Do not compromise on quality Features Chrome Handles Locking Options Beech, White or Oak MFC ..
TC Lite Desk Height 3 Drawer Pedestal A great storage solution at a great price complements the TC Lite Crescent Desk. 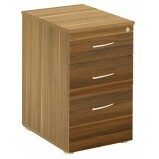 Do not compromise on quality Fetaures 3 Drawer - 2 shallow 1 Deep Filing Beech Finish Chrome Handle.. Maestro Desk Height Pedestal Offering versatile and practical storage solutions, our Maestro universal range will keep your office organised and looking neat and tidy. 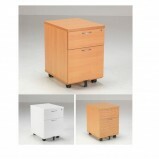 Pedestals offer versatile storage solutions for under desk storage in.. Maestro mobile pedestals with silver handles Offering versatile and practical storage solutions, our Universal range will keep your office organised and looking neat and tidy. Pedestals offer versatile storage solutions for under desk st..
Regent Underdesk PedestalThe right furniture creates the right impression. The Regent Executive range offers desks, tables, pedestals, bookcases and cupboards, in tones of light and dark walnut, creating a stylish and inspiring atmosphereTh..